Becoming part of the Dino family means becoming part of a dream that began more than 40 years ago. When Dino opened his first shop in 1978, he never dreamt of creating a franchise. But the success of his gelato combined with demand made us rethink our strategy and now Dino is a viable, successful option offering a unique product. A common project aimed at success. We are so sure of our gelato that we want to transmit our enthusiasm to you and encourage you to start up your own Dino Italian-style ice cream parlour. We will accompany you throughout the process and make it easy for you to turn it into a reality. Shall we start working together? Together on each step of the way towards opening your business. 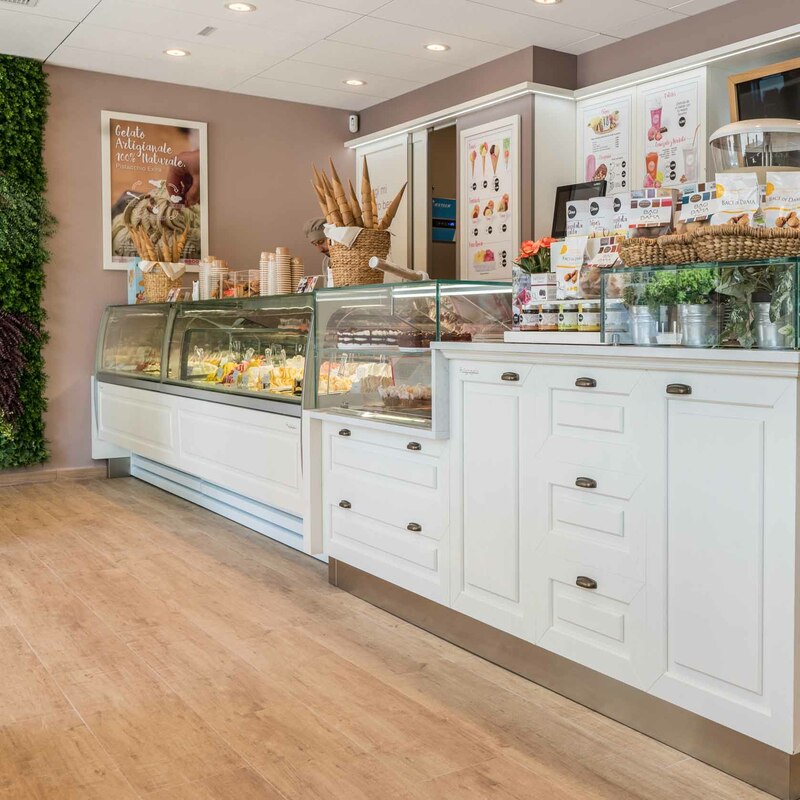 When the Dino family decided to launch the Morocco and Zaragoza projects, it had to find a solution to the biggest problem faced by gelato: the cold chain. Dino’s obsession with product quality would not allow him to make do with the pastes and bases on the market, which were used by most “artisans”. That was when he decided to invent a new product: “DinoMix”. DinoMix combines the quality of freshly-made gelato with ease of use. Contrary to other methods, you do not need special training or any previous experience in the sector to use DinoMix. It is specifically designed so that anyone can make gelato. Do you already have premises?